Drivers will most likely be the most expensive club in your bag. Modern drivers incorporate advanced technology that is leagues beyond what golfers used decades back. If you are interested in playing golf but lack the necessary knowledge about key elements then being introduced to the driver is a good place to start. Before we list the best driver for beginners let us first discuss what exactly this key golf club is and what to look for when purchasing one. You will always want to hit the ball as far into the course as possible. Back in the day though it was believed that to achieve this you need drivers that start low and shoots high up into the air. The only problem with this philosophy is that it produces too much backspin. If you generate too much backspin you will definitely get airtime but distance is another matter as the golf ball will basically just shoot straight up and then land back down. No, what you want is a shot that will generate a controlled backspin while it travels the course to increase distance. This is actually a tricky one since there are many elements to consider when choosing the right loft and not everyone has the same level of backspin with their shots. Let us try simplifying this and say that if you have a swing speed of 75 mph you should be looking at a driver that has a 12 degree loft. The faster your swing speed the lower the loft but you need to experiment first before moving lower. Simply put, the flexpoint is the area in the shaft that bends during the swing and the point of impact. Think of it as your leg kicking a ball. If you have a slower swing speed then a club with lower flex point will be your ideal club as it can generate a higher ball flight. For those who swing their golf club fast, a high flexpoint is the way to go as it will produce lower ball flight. The TEC Plus 460 cc Driver pushes the distance you can achieve to the max as it helps push the balls farther with its controlled backspin that prolongs airtime significantly. This club is also lightweight thanks to its sturdy graphite shaft. The 460 cc sized head helps produce maximum C.O.R. as well. 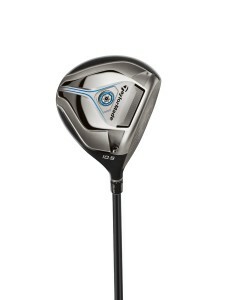 This is a fine driver for beginners as it helps increase their accuracy as well as distance. Also, the use of titanium matrix construction is designed to deliver the perfect tee shots. 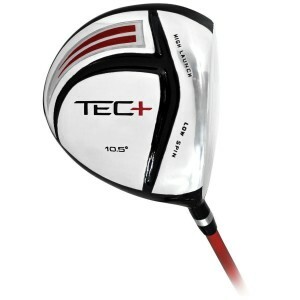 Buy the TEC Plus 460 cc Ti Matrix Driver here! The Cleveland Golf 588 Custom Driver built its design on a thorough testing and tour validation. The use of a 460 cc titanium head helps you deliver that pitch perfect tee that you dream of. It features an adjustable hose that lets you choose between 12 different settings to help you fine tune your loft for the height and distance you need. The loft and lie has a total range of 3 degrees while the face angle comes with a 4.5 degree range. It also utilizes an adjustable weight screw to fully customize the swing weight that suits your strength. The advanced wall construction allows you more weight to be delivered towards the lower part of the club to enable greater distance of the ball. 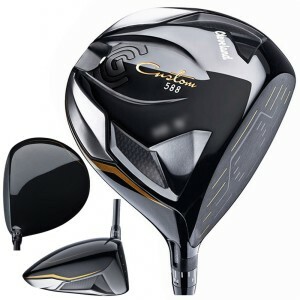 Buy the Cleveland Golf Men’s 588 Custom Driver here! This driver uses some impressive technology to help deliver that tee off that the pros can pull off. The inclusion of the Power Cell Technology gives that extra distance you need with every swing and the enhanced aerodynamic design helps deliver a smooth and quick swing that you never knew you can deliver. The lightweight exile graphite shaft helps keep weight to a minimum but still keeps that heft you need to truly have a feel for each swing. The all weather micro traction grip also ensures that rain or shine, this driver will stay in your hands at all times. 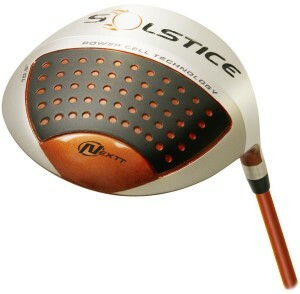 Buy the Nextt Solstice-C Power Cell Driver here! The Callaway Big Bertha uses a brand new technology called the Hyper Speed Face which helps your accuracy with the ball. The impact of your swing will be distributed across the face and allow for a blisteringly fast drive. The adjustable perimeter weighting helps you deliver a straighter and longer shot while the durable and lightweight crown weighs 20g less for this feature to be successfully integrated. You can also adjust the loft with the hosel for around 2 degree up or down. 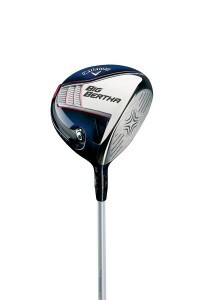 Buy the Callaway Big Bertha Driver here! First thing you will notice about this driver is how ridiculously lightweight it is. At 299 grams, this driver is definitely one of the lightest in the market. It uses some smart design choices to help players deliver the best long range drive. The low and forward CG promotes increased ball speed with a lower spin rate so watch it soar out straight down the course. As stated earlier, this driver is extremely light but it is also quite long at 46 inches which allows golfers to deliver faster swing speed. The head utilizes a Matrix Velox T 49 aerodynamic shaft that also helps deliver faster and smoother swing speed. This driver is specially design so that it will generate least spin, high accuracy and perfect shaft fitting for the best distance and precision. It uses tungsten weights to raise the MOI. This driver uses the industry first features like the patented racing stripes on the crown, a unique and revolutionary PWR shaft that maintains the perfect swing weight constantly. 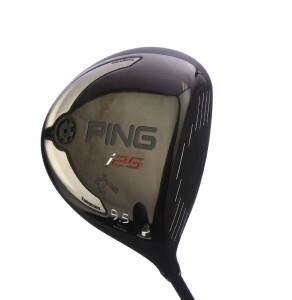 Buy the Ping i25 here! Drivers are key clubs in golf that delivers the first and most important swing. The list of the best driver for beginners above is designed and configured to help beginners as well as long time golf players deliver the perfect tee off. Each one has a specific strength and it is up to you to choose which one will suit your play style.